A preposition is a word that indicates the relationship between a noun and the other words of a sentence. They explain relationships of sequence, space, and logic between the object of the sentence and the rest of the sentence. They help us understand order, time connections, and positions. Alex threw a stone into the pond. The present is inside the box. They have gone out of the town. There are a few interesting linguistic facts about preposition. First, they are a closed class of words which means no new preposition gets added to the language. We use a fixed set of prepositions. Second, prepositions do not have any other form. They cannot be plural, possessive, inflection, or anything else. Third, most of the prepositions have many different contextual and natural uses. So, it is easy to be confused about preposition. Fourth, sometimes a preposition works as nouns, adjectives, and adverbs. Prepositions can be of one, two, three, or even more words. Prepositions with two or more words are called phrasal prepositions. because of, in case of, instead of, by way of, on behalf of, on account of, in care of, in spite of, on the side of, etc. Most of the prepositions have many uses. 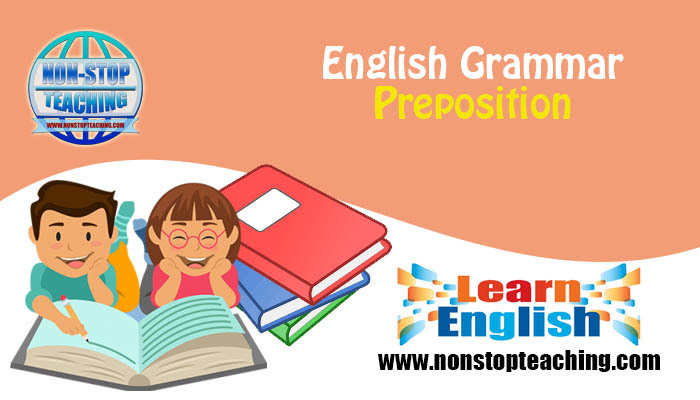 There are some prepositions which are common in every type of preposition as they function in a versatile way. Prepositions of time show the relationship of time between the nouns to the other parts of a sentence. On, at, in, from, to, for, since, ago, before, till/until, by, etc. are the most common preposition of time. He started working at 10 AM. The company called meeting on 25 October. There is a holiday in December. He has been ill since Monday. Prepositions of place show the relationship of place between the nouns to the other parts of a sentence. On, at, in, by, from, to, towards, up, down, across, between, among, through, in front of, behind, above, over, under, below, etc. are the most common prepositions of place/direction. The police broke into the house. I live across the river. Prepositions of agents or things indicate a casual relationship between nouns and other parts of the sentence. Of, for, by, with, about, etc. are the most used and common prepositions of agents or things. This article is about smartphones. Most of the guests have already left. He is playing with his brothers. A phrasal preposition is not a prepositional phrase, but they are a combination of two or more words which functions as a preposition. Along with, apart from, because of, by means of, according to, in front of, contrary to, in spite of, on account of, in reference to, in addition to, in regard to, instead of, on top of, out of, with regard to, etc. are the most common phrasal prepositions. They along with their children went to Atlanta. According to the new rules, you are not right. In spite of being a good player, he was not selected. I’m going out of the city.